I've been waiting for him to come to NY for over a year. I knew he'd be at the Levine Gallery this fall, but I didn't know the date. According to the Jonathan Levine Gallery website, the exhibit will run through October 9. I had asked him last year about a personal "Alex Gross" page I found that turned out to be a fake. This fan page is the real deal -- and he says he's going to updating it as the NY show approaches. He's posted some scans of his "early" work -- grade school drawings of cowboys and Indians and hockey players. Oh, how cool! I'm really happy for Alex Gross, too. He deserves the attention. Okay, we've gotta get a screen cap of that! 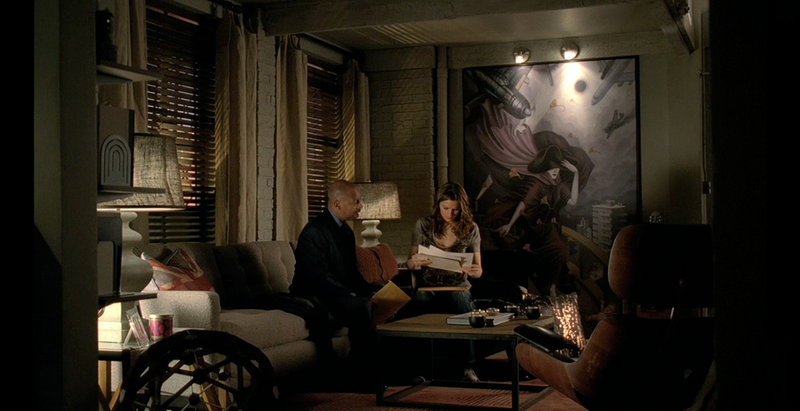 So Beckett is a fan of Alex Gross. Or a closet Moonlight fan... maybe she's on the boards even! The colors seem much duller than they did on the Moonlight set... but maybe that's just the cap. I'll have to check it out tonight. 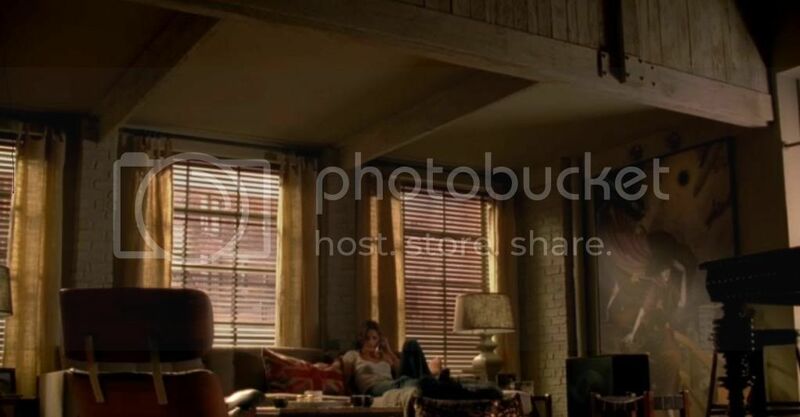 francis wrote: So Beckett is a fan of Alex Gross. Or, it was "gift". It never hurts to have a friendly police detective or two hanging about in case of unfortunate incidents involving paperwork or fingerprints. Hey folks, I just heard back from Alex. I had completely forgotten that Alfred Sole is the set designer for "Castle," but apparently it was he who contacted Alex and arranged for permission to use the image again. I think Alex was pleased to hear that fans noticed. As if a TRUE Moonlight fan would miss that??? Silly man. Of COURSE we noticed. Maybe she knew Josef when she was younger? Seriously, though, I do notice that's a different size than the ML reproductions. It looks good that size, though! I don't watch Castle, so I didn't know this...How GREAT for Alex! !